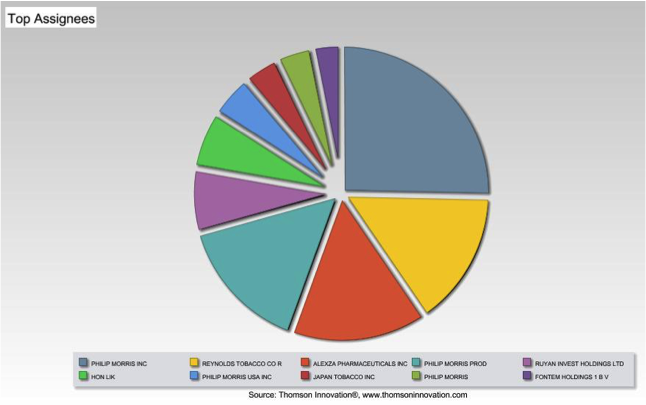 The patent world often reflects marketplace trends, and e-cigarette innovation is a great example. Patents provide a temporary monopoly on an innovation in exchange for disclosing the details to the public. The general public policy rationale behind patents is to promote innovation because it allows others to further innovate from the disclosure. Arguably, some evidence that the policy works are the cited references for an application, which indicates the path of innovation between patents. Applicants are obligated to specify prior art they believe is relevant to their innovation, and in reviewing the application, an examiner will perform a search and cite any additional references they believe are relevant. A list of those references are included with the application or patent. You can learn a lot about a field by following the reference trail. This patent has been cited by 170 patents or patent applications, and of those, fourteen have been cited by 100 or more patents or patent applications. 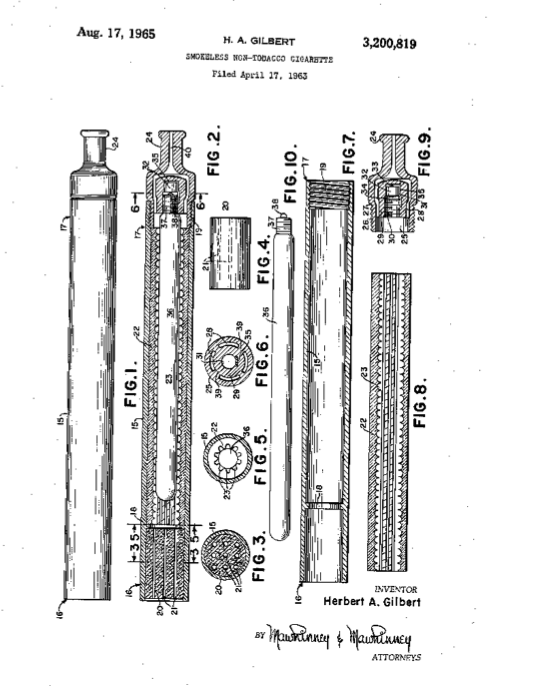 From 1964-2000 (36 years), eighty patents or patent applications cited the Gilbert patent. But, in the next fourteen years, ninety patents or patent applications were filed that cited the Gilbert patent. Interestingly, twelve of the fourteen applications that were cited over one hundred times were filed before 1995. So it seems that there was slow but significant innovation before 2000. Someone clearly saw potential in this field before the e-cigarette or “vaping” boom occurred. But who, and for what purpose? Patents citing the Gilbert patent are a mix of pharmaceutical dispensing products, products to help curb smoking habits, and products that were simply interesting alternatives to the real thing. Of the three biggest filers, two are Big Tobacco and one is a pharmaceutical company. Twenty-eight of the referencing patents are assigned to Alexza Pharmaceuticals, the company now marketing the Staccato System, which uses vaporization and heat to control particulate size to allow for deep inhalation of medicaments. These twenty-eight were all filed after 2001, which makes sense since Dr. Alejandro Zaffaroni helped found the company in 2000. Actually, Alexza Pharmaceuticals was established for the purpose of developing this treatment for acute and intermittent diseases. Though these patents are not seemingly related to the e-cigarettes market, the fact that they rely on some of the same prior art shows how divergent the paths can be extending from a single patent disclosure, and yet, as we will discuss later, knowledge of the pharmaceutical side of the Gilbert patent may be useful on the e-cigarette side, too. On the Big Tobacco side, Philip Morris (which includes Altria for the purposes of this patent review) is assigned to sixty-six of the patent filings that reference the Gilbert patent, all of which were filed after 1988. Philip Morris is the company responsible for Marlboro®, Virginia Slims®, and Parliament®, among other popular tobacco products. According to their website, Marlboro’s retail share in 2013 was 43.7%. 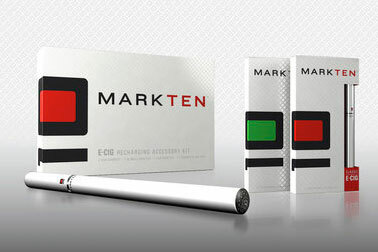 MarkTenTM is their popular e-cigarette, which uses FourDrawTM technology “for a consistently smooth experience.” The FourDrawTM technology sounds very similar to their “Flow Distributor of an Electrically Heated Cigarette Smoking System,” U.S. Patent Number 6,994,096, which references their “Electrically-powered linear heating element,” U.S. Patent Number 5,093,894. Not surprisingly, the “Electrically-powered linear heating element” patent was filed in 1989 and references the Gilbert patent. Philip Morris cites RJ Reynolds and Lorillard as its two biggest competitors, which is true in the traditional tobacco market and the e-cigarette side. So, not surprisingly, Reynolds American (which includes RJ Reynolds for this discussion) has filed nineteen patent applications that cite the Gilbert patent. Similarly to Philip Morris, RJ Reynolds filed ten of those nineteen between 1988 and 2000. RJ Reynolds brands make up about 25% of the market and include Camel®, Pall Mall®, Winston®, and Salem®, among other smaller brands. RJ Reynolds introduced VUSE to the e-cigarette market, and the product is apparently brimming with trademarked technologies, though a direct correlation to one of their patents is less apparent than the FourDrawTM technology of Philip Morris. Both companies seem to have predicted or at least seem have prepared for this e-cigarette revolution. Lorillard took a different approach. The Lorillard brands make up about 12% of the market and include Newport®, Kent®, and True®, among others. Instead of investing in extensive research of the technology, they acquired a company that had already done the work in developing a viable product. In 2012, Lorillard acquired blu eCigsTM, which makes up about 40% of convenience store sales. In 2014, Reynolds American entered into an agreement to acquire Lorillard, which includes a sale of at least of portion of Lorillard to Imperial Tobacco. 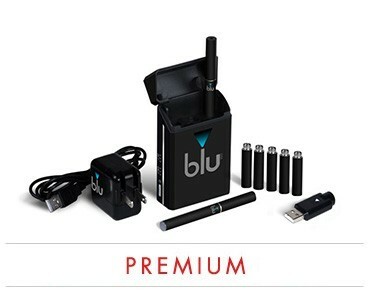 That portion includes blu eCigsTM. This appears to be a chess game between titans, and only time will tell if e-cigarettes are a pivotal factor in who will win. There are countless articles about e-cigarettes, with countless more to come. Some talk about how they fit into the general smoking market; some talk about the questionable health claims from users, doctors, manufacturers and anyone who has an opinion on the subject; some talk about government response to this technology, which is becoming too popular to ignore; and some talk about the market fight between Big Tobacco and the new guys who popped up just for e-cigarettes. I can’t comment on the health claims other than to say there are plenty out there, and I won’t delve into the government response or the politics that go along with it. However, I will say something about the “little guys” who are competing with Big Tobacco, from both traditional cigarettes and their own lines of e-cigarettes. The companies may be unseasoned but their personnel may not be. They popped up for a reason, and some of them have a strategic team. Case in point: NJOY. NJOY’s goal is to “obsolete combustible cigarettes completely” and they reassure their customers they are “not now and never will be part of a tobacco company,” which I am not suggesting is false. But a quick look at their executive team and you know NJOY is not as much the underdog as they seem to imply. Notably, NJOY did not come up as an assignee for the citing reference search for the Gilbert patent, though their patent applications likely reference applications that did. So, I did a bit more searching and the results were not surprising given the pedigrees of their team members. Some quick highlights of the team includes Craig Weiss, Josh Rabinowitz, and Vito Maurici, and Mark Scatterday. Weiss is Chairman and a registered patent attorney who was also the managing member of a hedge fund that focused on “publicly traded companies involved in material intellectual property litigation,” according to his profile. He is so confidant in the impact NJOY will have on smoking that he is recording his sessions with his psychologist, just in case he wants a better recollection for a book or movie deal. Rabinowitz is Interim CEO and a co-founder of Alexza, and listed as inventor on fifteen of the nineteen Alexza patents. Maurici is SCP, Sales & Distribution and previously had “an extensive career in sales and marketing” at Philip Morris, which dominated the list of assignees in the Gilbert patent citation trail search. Scatterday is a “lifelong entrepreneur and constant tinkerer,” to quote his profile. Perhaps more telling of Scatterday’s entrepreneurial skills is his foresight to file twenty-four U.S. patent applications (a mix of utility and design patents) within three years, all of which list Scatterday as the inventor. NJOY’s 10% share of convenience store sales is least partially (if not entirely) attributable to the varied and extensive experience of its Executive Team, bolstered by periodic infusion of capital from investors. 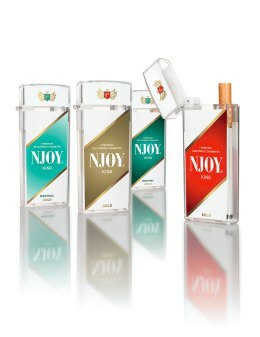 However, NJOY may never be able to compete with Big Tobacco companies who throw their proverbial hat into the e-cigarette ring. Big Tobacco is comprised of old, established companies with decades of trade secrets and marketing experience. More than that, they seem to be weathering the vilification of their products quite well. It is yet to be seen whether a company like NJOY is equipped to adapt to whatever the cigarette market may stir up—health backlash, government regulations, or a steep decline in sales. No one knows precisely where e-cigarettes will end up—as deeply interwoven into our country’s history as tobacco, as a quirky type of service market like restaurants with hookah-pipes, or as an era-defined blip like disco. What we do know is that the increased popularity has prompted ample innovation. And as the industry becomes more competitive, the patent applications will continue to narrow, and the companies who prepared for this vaping revolution early on will have a big advantage over pop-ups seeking to capitalize on the opportunity. The big advantage may be lucrative licensing agreements, better-developed products, more established reputations and brand recognition, the right to create more diverse products, or other benefits that come with being prepared and showing up to the party first. I am a registered patent attorney who began my patent career as a contractor for Vistakon, a Johnson & Johnson Company that manufactures contact lenses. I worked directly with a research team that developed energizable ophthalmic lenses, filing over one hundred patent applications within 18 months. IP Watchdog cited the “Ophthalmic Devices Incorporating Photonic Elements” (U.S. Patent Application Number 13/833,877) as the second most innovative applications of 2014. Among those filings, I am listed as an inventor in eighteen published U.S. patent applications. From my experience at Vistakon, I had the privilege to work with Joseph Kincart, and in 2015, we began a law firm together, Kincart & Higham Intellectual Property Law, PA, or KHIP Law PA, which is located in Jacksonville, Florida. The khiplawpa.com website is currently under construction, but Camille can be contacted at chigham@khiplawpa.com. Until the site is up and running, you can find out more about Camille at her solo practice law firm site for Chimeric Innovation Law, PLLC, and you can find out more about Joe Kincart at his solo practice law firm site for Ideation Law, PLLC.